Small marketing budgets don’t necessarily mean small ideas when it comes to search marketing. In fact, it’s the innovative and creative efforts that most often empower companies with the ability to learn and adapt. 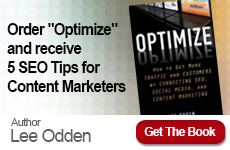 TopRank CEO, Lee Odden, was tapped by Target Marketing Magazine to write an article for small businesses on how to take full advantage of search marketing without a full budget. By taking inventory of all a company’s digital assets, optimizing and promoting them on relevant channels, businesses of all sizes can gain a competitive advantage. This article offers several practical examples of small businesses leveraging their distinct media and digital assets for both channel specific promotion as well as contributing to the overall search engine optimization effort. 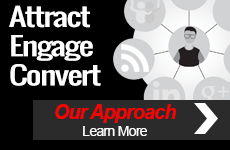 TopRank coined the phrase, “digital asset optimization” to describe this holistic practice of content optimization and marketing in 2007 and has been a pioneer in helping companies gain competitive online marketing advantage without substantial content creation investments.